The Executive Case's sharp, modern design is accentuated by hand stitching and an abrasion-proof mesh front frame. 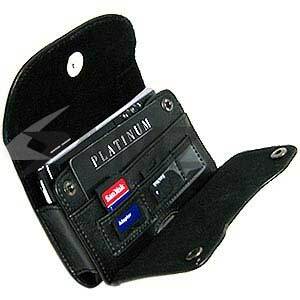 The Divided slot is the perfect size for a license, cash, credit cards, etc. For your convenience, the magnetic flip cover can be opened or closed with minimal effort. Comes, with fixed clip and belt loop.